5. 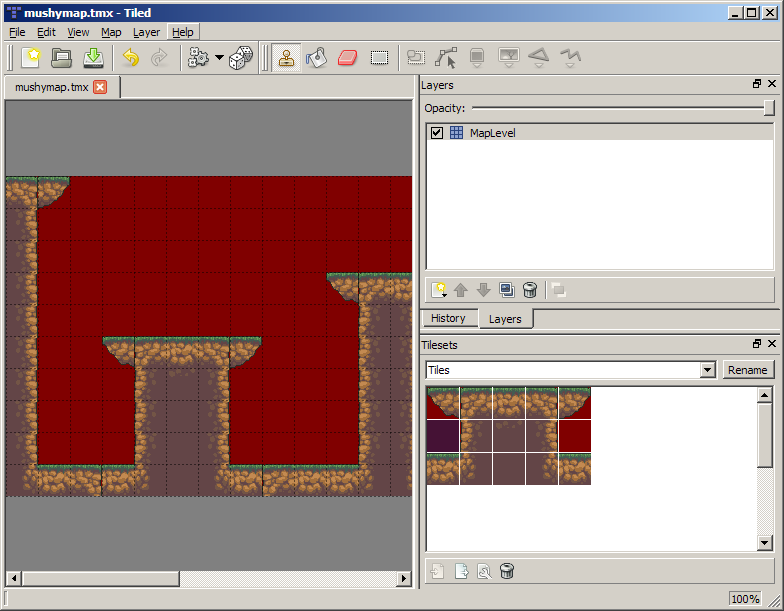 Make sure orthogonal is set, your map size, and the width & height of the tiles. 7. Give the name as “Tiles” (without quotes). 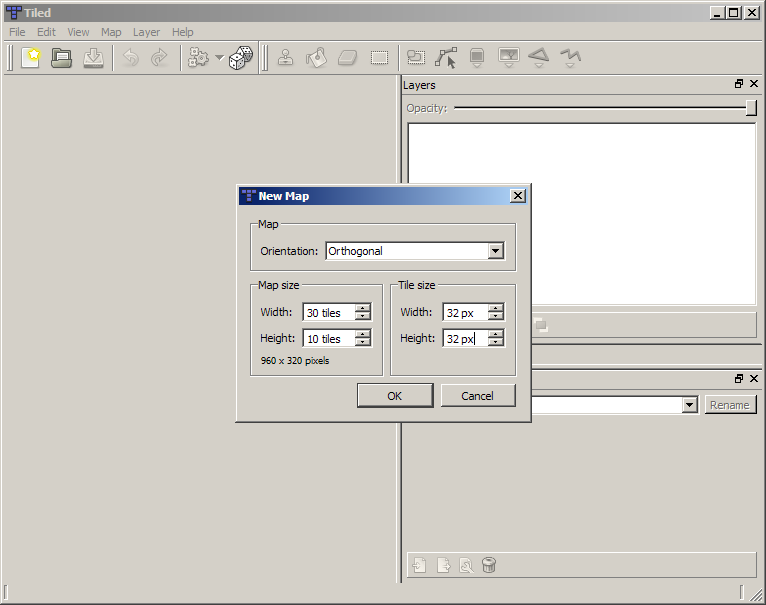 This will be used for naming the config graphics entries automatically later on. 8. Browse to your tile set image. 9. Ensure the tiles dimensions are correct (32×32 in this case). Leave the rest default and click OK.
12. Start by browsing to your .tmx file. 13. The lower pane will always show the current converted output. 14. From this point on, the converter will watch the original TMX file for changes. Any further work in Tiled will be automatically updated in the converter output pane. 15. Click “Copy to Clipboard” to copy the entire contents to the clipboard. To copy part of the output, select the range with the mouse, then click the button. You can then paste the content into your Orx config file(s).